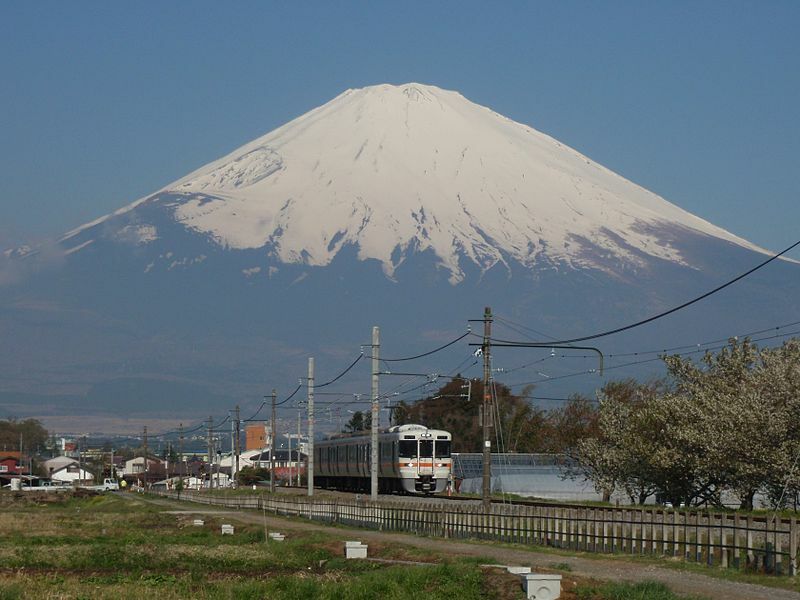 The Gotemba Line (御殿場線 Gotemba-sen) is a railway line operated by Central Japan Railway Company (JR Central) in Japan. It connects Kōzu Station in Odawara, Kanagawa and Numazu Station in Numazu, Shizuoka via Gotemba Station. The limited express train “Asagiri” runs between Shinjuku (Tokyo) and Gotemba, via Matsuda. The present-day Gotemba Line was built as part of the original route of the Tōkaidō Main Line connecting Tokyo with Osaka. The portion between Kōzu and Numazu was opened on February 1, 1889, although it was not officially named the “Tokaido Line” until 1896. Portions were double tracked from 1891 and the double tracking was completed by 1901. The line took an indirect route between Kōzu and Numazu in order to avoid the Hakone Mountains, which affected the potential journey time between Tokyo and Osaka. A more direct route had been planned as early as 1909, but technical difficulties delayed the completion of the Tanna Tunnel until December 1, 1934. With the opening of the tunnel, the route of the Tōkaidō Main Line became via Atami Station, leaving the section between Kōzu Station and Numazu Station as a spur line renamed as the Gotemba Line. In 1943, due to the reduced traffic on the Gotemba line, and the urgent requirement for steel in World War II, the line was returned to a single track railway. Diesel multiple units replaced Steam locomotive hauled passenger trains in 1955, and a cooperative agreement was reached with the privately owned Odakyu Electric Railway to operate express trains directly from Shinjuku Station in Tokyo in the same year. The line was electrified from 1968, and regularly scheduled freight services were discontinued at most stations by 1982. A new Centralized traffic control system was installed in December 1989, with a programmed route control system implemented from March 1990. Installation for the TOICA automated turnstile system was completed at all stations in 2010. The station initially opened on February 1, 1889, as Oyama Station (小山駅) It was renamed Suruga Station (駿河駅) on July 1, 1912. When the opening of the Tanna Tunnel diverted the route of the Tōkaidō Main Line south on December 1, 1934, Suruga Station became a station on the Gotemba Line. 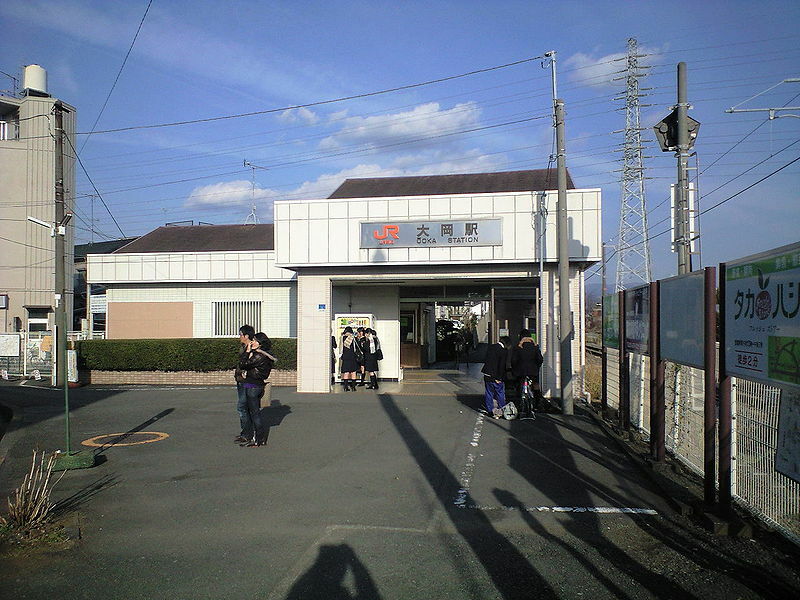 It was renamed Suruga-Oyama Station (the present name) on January 1, 1952. Operational control of the station was transferred to JR Central following privatization of JNR on April 1, 1987. The station consists of a single island platform serving two tracks. The station building is to the south of the tracks and connected to the platform with overpass. This station is unmanned. 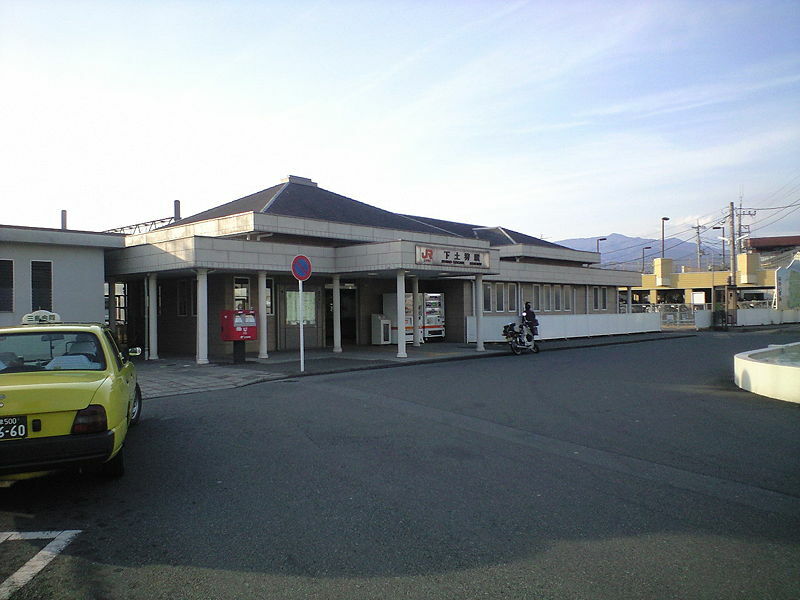 Ashigara Station opened on September 15, 1947. Regularly scheduled freight services were discontinued on February 1, 1971. Operational control of the station was transferred to JR Central following privatization of JNR on April 1, 1987. The station is unstaffed and has one island platform and a station building to the west of the tracks. 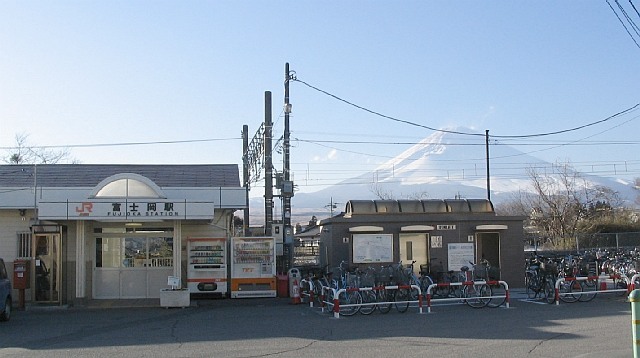 Gotemba Station opened on February 1, 1889 as one of the original stations of the Tōkaidō Main Line between Kōzu and Shizuoka. From 1955, in a joint operation with Odakyu Electric Railway, JNR began operating the limited express Asagiri service from Shinjuku to Gotemba. Along with its division and privatization of JNR on April 1, 1987, the station came under the control and operation of the Central Japan Railway Company. 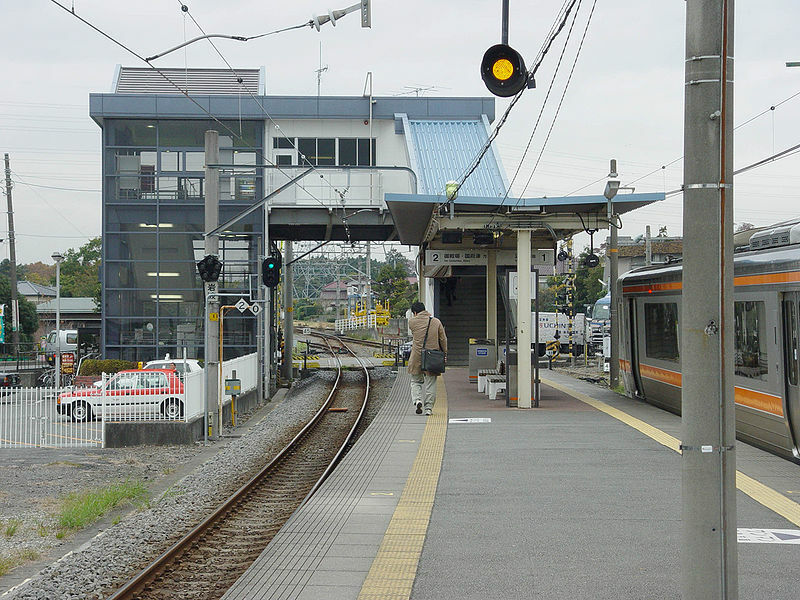 Gotemba Station has a single side platform and a single island platform serving three tracks. The station building has automated ticket machines, IC card TOICA automated turnstiles (IC card is available only for Numazu direction), and a seat reservation service counter. The station building is elevated, and connected to the platforms by an overpass. 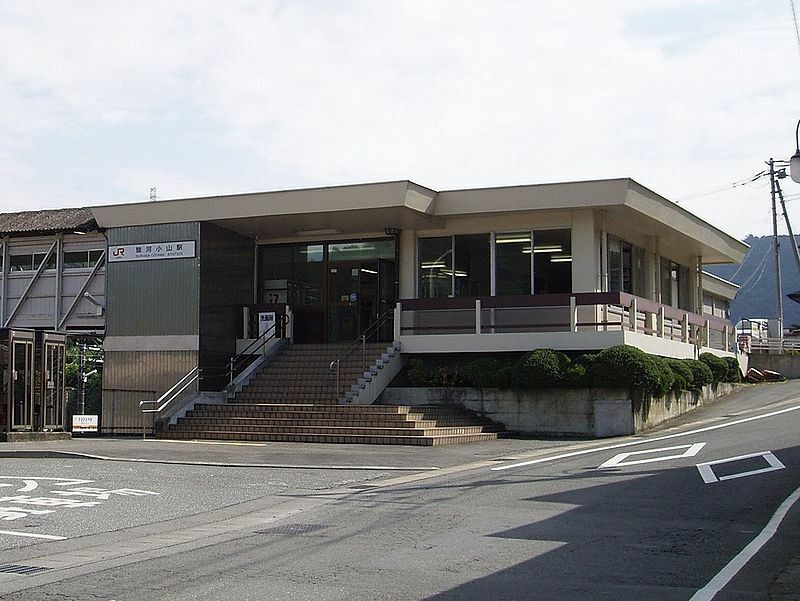 Minami-Gotemba Station opened on July 20, 1962. Operational control of the station was transferred to JR Central following privatization of JNR on April 1, 1987. This station has a single side platform and an unstaffed building to the west of tracks. Fujioka Station opened on August 1, 1944 to provide access to the Fujioka Heavy Artillery School (陸軍重胞兵学校 Fujioka Jyūhōhei-gakkō) of the Imperial Japanese Army, and usage was restricted only to military personnel. The station was opened to civilian passengers from November 11, 1944. Along with its division and privatization of JNR on April 1, 1987, the station came under the control and operation of JR Central. Fujioka Station has a single island platform. The station was originally located on a switchback, which was eliminated when the line was electrified in 1968, and the platform realigned; a vestigial remnant of the former switchback is retained as a side track to the north of the station. The original side platform was rebuilt as an island platform in 1989. 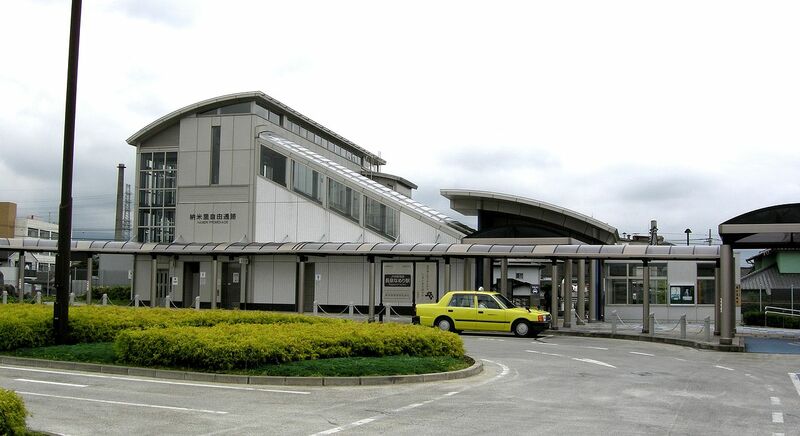 The station building has automated ticket machines, TOICA automated turnstiles and a “Midori no Madoguchi” ticket office, and is manned only during daytime hours. It is connected to the platform with an overpass. 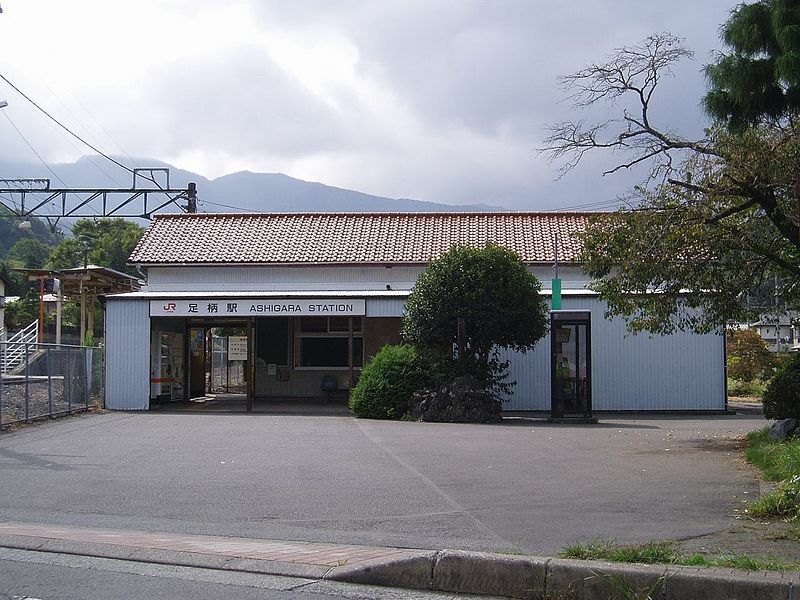 Iwanami Station began opened on December 8, 1944. Along with its division and privatization of JNR on April 1, 1987, the station came under the control and operation of JR Central. The current station building dates from 1989. Iwanami Station has a single island platform. The station was originally located on a switchback, which was eliminated when the line was electrified in 1968, and the platform realigned; a vestigal remnant of the former switchback is retained as a side track to the north of the station. The station building has automated ticket machines, TOICA automated turnstiles and a “Midori no Madoguchi” ticket office, and is manned only during daytime hours. It is connected to the platform with an overpass. The station first opened as Sano Station (佐野駅) under the Japanese Government Railways (JGR), (the predecessor to the post-war Japanese National Railways) on February 1, 1889. 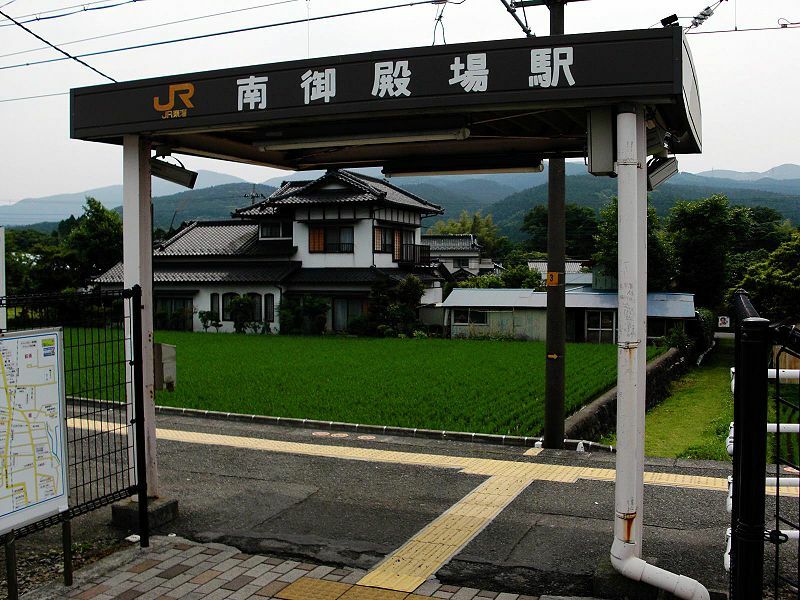 It was renamed Susono Station on July 15, 1915. After the opening of the Tanna Tunnel on December 1, 1934, it became a station of the Gotemba Line. Regularly scheduled freight services were discontinued on March 10, 1974 and baggage-handling services from February 1, 1984. Along with its division and privatization of JNR on April 1, 1987, the station came under the control and operation of JR Central. Susono Station has a single island platform. 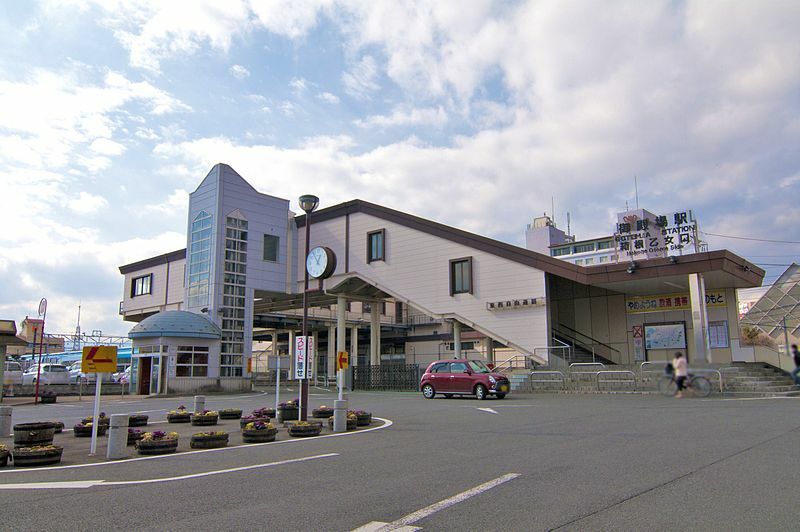 The station building has automated ticket machines, TOICA automated turnstiles and a “Midori no Madoguchi” ticket office, and is manned only during daytime hours. It is located to the west of tracks and is connected to the platform with an overpass. 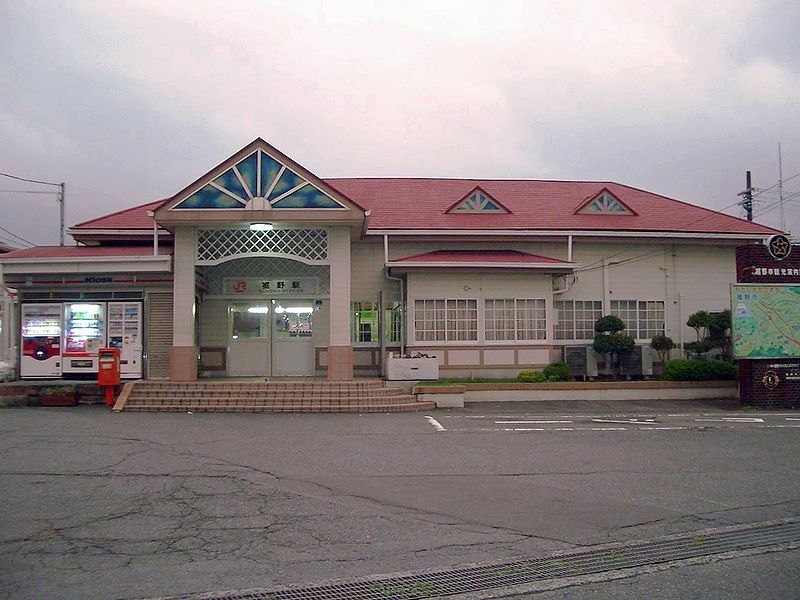 Nagaizumi-Nameri Station opened on September 7, 2002 as part of the Shizuoka Cancer Center. Nagaizumi-Nameri Station has a single side platform serving traffic in both directions. As part of the Shizuoka Cancer Center medical complex, the station has a Barrier-free design, with slopes for wheelchair access, elevators and moving walkways. It has automated ticket machines and TOICA automated turnstiles, but is an unstaffed station. The station first opened on June 15, 1898 as Mishima Station on the original route of the Tōkaidō Main Line under the Japanese Government Railways. It was renamed Shimo-Togari Station on October 1, 1934 shortly before the opening of the Tanna Tunnel created a more direct route from Atami to Numazu and led to the creation of a new Mishima Station further south. JGR became the Japanese National Railways (JNR) from 1946. Regularly scheduled freight operations were suspended from 1982. Along with privatization and division of JNR, JR Central started operating the station from April 1, 1987. This station has a single island platform. The station building is to the east of tracks and connected to the platform with an overpass. It has automated ticket machines, TOICA automated turnstiles, and a “Midori no Madoguchi” ticket counter staffed only during daytime hours. 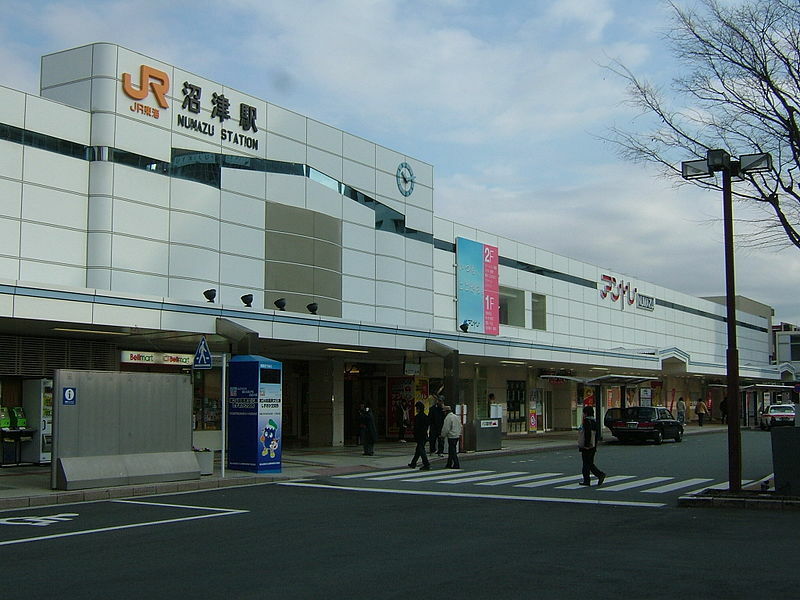 Ōoka Station began as an unnamed rail siding constructed during the Pacific War to serve the numerous munitions plants located Ōoka district of Numazu. After the end of World War II, it was officially opened as a civilian train station on January 15, 1946. Regularly scheduled freight operations were suspended from 1971. Along with privatization and division of JNR, JR Central started operating the station on April 1, 1987. Ōoka Station has a single side platform serving traffic in both directions. The station building has automated ticket machines, TOICA automated turnstiles and a “Midori no Madoguchi” ticket office, but is manned only during daytime hours.